Overview : This is the original snazzy looking version that plugs into a PS3 USB port. The look is sleek. It follows the contours of the front of the PS3 and has the same shiny black surface. When installed, it looks just like it is part of the PS3! This device accepts PS2 compatible IR commands and converts them to PS3 game controller key presses via USB. For best results, program your universal remote control for Sony PS2 mode. Do not mistake this device with other competing products. This one actually works. This device is specially tuned for trouble free operation. It will work flawlessly right away, even when navigating using the arrow keys. Note: This model will not Power ON the PS3 since the PS3 firmware doesn't enable this function for USB devices. It supports the same functionality as a game controller with the exception of the PS key. Quality/Usability : Having purchased a Logitech Harmony Advanced Remote to eliminate the amount of remotes laying around, the PlayStation 3 failed to help the cause. The PS3 does not use infrared (IR) but instead, uses bluetooth. If you are using a IR universal remote, there are different methods of using it. Another option is to buy a 3rd party DVD remote that uses IR such as Nyko's Blu-Wave Infrared Remote but you spent all that money for a IR receiver and a remote you wont be using? Schmartz is here to solve your problems. 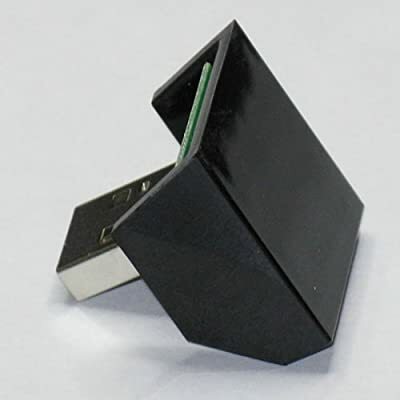 The PS3IRX1 is a IR receiver that connects to the USB port of your PS3 and allows you to use your universal remote. As mentioned above, I tested this nifty device with my Logitech Harmony Advanced Remote. To set up the PS3IRX1, simply plug it into any of the USB ports on the front of the PlayStation 3. Now, to setup the Logitech Harmony Remote, I simply connected the remote to my computer. Set up an "Activity" and "Device" and chose "Sony PlayStation 2". The reason I didnt choose Sony PlayStation 3 is since the universal remote does not use Bluetooth, choosing the PS3 wouldnt work and even Logitech says that the remote would not work. Choosing the PS2 also gives that message but ignore this message as their database is a bit outdated. If you are using a more complex and advanced controller, you are able to enter HEX codes to your controller. Choosing the PS3 instead of the PS2 only caused problems since none of the buttons really worked for me. Choosing the PS2, all the buttons were mapped. FF, RR, Chapter Skips, Play, Pause, Menu, etc. all worked without problems. Unfortunately, there is no eject and most importantly, ON/OFF. The ON/OFF is however, available on the PS3IR+PWR IR (review). Conclusion : Overall, the PS3IRX1 IR Remote Adapter works great. Installation is easy...then again, its plug and play. Setting up your universal remote is very easy and will work. Have problems or questions? the support that AVSForums as well as from Mike Muecke (owner/designer), provide excellent customer support. People are willing to help, give tips and Mike is there every step of the way until you get your problems fixed. However, $35.00 is a bit pricey considering Mike is a one-man show designing, building, testing, packing and shipping the PS3IRX1 all by himself. Not to mention customer service all from the US of A! Now that Mike has a manufacturer mass producing it to keep up with the demand, hopefully this will lower the price. "My products will never be the cheapest on the market. I charge more so that I can afford to spend time in the lab making sure everything works amazingly well. These products are customized based on your needs and feedback. So, this is more of an electronics boutique than anything else. I generally offer services and products for smaller niche markets." You can get the Nyko Blu-Wave IR Remote for approximately $15.00, but you'll end up with a extra remote that you wont use and the IR dongle will stick out like a thumbdrive. The product is very sturdy, blends in with the PS3 very well, but is a dust and fingerprint magnet like the PS3. For an extra $20, I dont need the fancy packaging. So as long product works and if I need help, I know that a person with knowledge of the product can help me.